It’s Never Too Late Before It’s Too Late! – Talk Exchange..! It’s Never Too Late Before It’s Too Late! For the next few minutes, the only picture that your mind should visualize is about that one fight or argument which you have had in your past with that person in your life whom you loved a lot… Your few words or maybe the other person’s few words costed your relationship and trust forever. Every person living on this planet, at least once, has experienced this. What happens is that two people disagree with each other on a certain topic which gradually leads to an argument as each one tries to prove his/her point by increasing the pitch of the speech and dominating the partner. In the process, we do not realise what we are saying and understand later how hard those words were for the ears and the heart of the one we loved. Our tongue may seem boneless but it has the capacity to shoot such sharp arrows which can literally tear the heart and the soul of our beloved into pieces. Yes, Accept it! Maybe you have done this to someone or maybe someone has done this to you. But, whatever it is accept it so that you could change it. So, what should you do to change it? Stop talking to all those you love? No way! Not at all. Never stop talking or calling or loving that person only because of one stupid verbal fight. This is the exact mistake we all make. Only because the person’s thoughts did not match our thoughts, we tend to make the biggest mistake of ignoring the person. See, humans argue only with someone they really love and care for. We don’t care to go and discuss something with someone whom we do not love. So, even though we have a long argument or maybe a verbal fight, we still care for that person. We just stop accepting our relationship with that person by simply ignoring that person and that is exactly where we go wrong. The only way you could tie the knots again is to simply Apologize. Just 3 sentences of yours can change the entire scenario..1. I Am Sorry.. 2. It Was My Mistake… 3. What Can I Do To Fix Things Up?… That’s it! Just Apologize. Nothing else. Instead of caring about your ego, start caring for your beloved because you can never understand the plans of your fate. You will regret for giving more importance to your ego than to the person you love because if some day you wake up and understand that the person has disappeared forever, the last memory with you will be the fight that drifted you apart. So, why to take the road where there is complete darkness? Why have the memories which can tear you apart? It’s so simple..Apologize! Your 3 statements can bring you closer instead of going apart. If you have had a fight in the past, it’s ok! You still have time, you still have the person. Just gather the courage to speak 3 sentences in front of the person and you will definitely see the miracle. Whatever has happened, let it go and try starting everything all over again by simply apologizing because it’s never too late before it’s too late! 2. It Was My Mistake. 3. What Can I Do To Fix Things Up? Thank you so much Nathprasad Sir. My small effort to bring people back together. (Dhanyavad..😊)..
Quality stuff Neha & true words with deep meaning !! Thank you so much Nirant sir.. 😊.. You write real sensational stuff.. Waiting for the next..
U are strong with your words & I’m really happy to enjoy ur words ☺️ . Hey guys.. do read this amazing article & follow the talented writer.. she writes amazing post which you can relate with your life.. There are few writers, who do write for others & she is one of them & am sure her post will definitely help you ..
My pleasure. How old are you? I will be okay with just Sameera. Don’t worry. Haha.. Thike thike.. Pia actually bahot khoobsurat naam hain..
every word you’ve shared is so true! loved the way you expressed your thoughts!! My absolute pleasure! dear one little request, please call me Kranti. 😊 Thank you! You have shown the usually missing link of communication to maintain and improve relationship. Very well explained. Very well thoughts of you my dear. Keep writing. I am very proud of you. Love you my dear . This is so true! I love it! So thoughtful and so true indeed.. Yes thanks Neha.. And welcome to the innovative world as I see you are new here.. Happy blogging. Thank you so much.. My words inspire is a complement which means the most to me. Thank you so much for going through..
Can u also give your reviews on posts? I was going across your posts yesterday afternoon…. I really loved them..they made me a bit engrossed in thoughts and I forgot to like them! So today I took out some time to appreciate you!! You are really a great thinker! Your writings are deep…go on like this…we are with you!!! 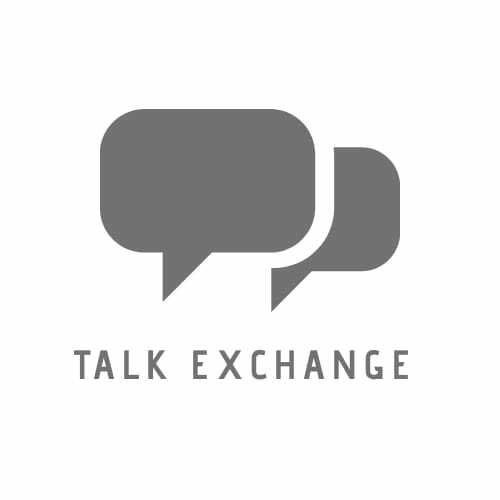 Pingback: The Mystery Blogger Award.. – Talk Exchange..! NextDon’t Give It A Damn..!